DC Black Label, 9781401279592, 232pp. After breaking into the industry at a young age, Sean Murphy made a name for himself in the world of indie comics before joining up with DC. 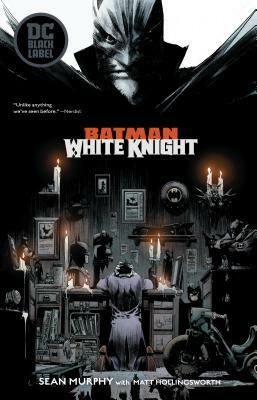 In his tenure, he has worked on such titles as Batman/Scarecrow: Year One, Teen Titans, Hellblazer, Joe the Barbarian, and the miniseries American Vampire: Survival of the Fittest. Sean also wrote and illustrated the original graphic novel Off Road, as well as his popular miniseries, Punk Rock Jesus, and was the artist on the critically acclaimed Vertigo miniseries The Wake with Scott Snyder.